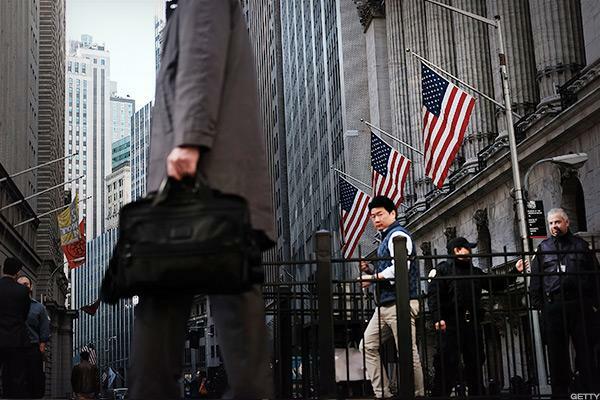 Wall Street held in the red on Tuesday, June 27, as losses in the tech sector escalated through the afternoon session and healthcare fell to the day's lows. The S&P 500 fell 0.5%, the Dow fell 0.2%, and the Nasdaq declined 1.2%. The Nasdaq also declined on Monday, June 26. Alphabet Inc. (GOOGL - Get Report) dragged on tech after its Google division was fined a record €2.42 billion ($2.7 billion) by the European Commission. The search engine was accused of abusing its dominance as a search engine by giving itself an advantage in comparison shopping services. "What Google has done is illegal under EU antitrust rules," said Competition Commissioner Margrethe Vestager. "It denied other companies the chance to compete on the merits and to innovate. And most importantly, it denied European consumers a genuine choice of services and the full benefits of innovation." Google now has 90 days to end its conduct or face payments of up to 5% of the average daily global revenue of its parent company, Alphabet, the commission said. The fine is the largest in EU history, topping the €1.06 billion penalty levied on Intel Corp. in 2009. The rest of the FAANG stocks were under pressure on Tuesday. Facebook Inc. (FB - Get Report) , Apple Inc. (AAPL - Get Report) , Netflix Inc. (NFLX - Get Report) and Amazon.com Inc. (AMZN - Get Report) were lower. The stocks comprising the acronym have already seen losses in recent weeks after the names pulled back from lofty heights. FAANG stocks had contributed a large portion of the S&P 500's gains in the year to date. The Technology Select Sector SPDR ETF (XLK - Get Report) was down 1.3% on Tuesday. Apple and Facebook are holdings in Jim Cramer's Action Alerts PLUS Charitable Trust Portfolio. Want to be alerted before Cramer buys or sells AAPL? Learn more now. Alex Frew McMillan believes he has identified the Japanese FANGs in his column on our premium site for investors, Real Money. Get his insights with a free trial subscription. The Senate reportedly has decided to delay a vote on the Better Care Reconciliation Act until after the July 4 recess on talk Senate Majority Leader Mitch McConnell (R-KY) did not have enough support from within his own party. The Obamacare repeal-and-replace bill has come under attack from members on both side of the aisle. The latest iteration of the Republican plan would increase the number of people without health coverage by 22 million and cut the deficit by $321 billion through 2026, according to estimates released by the Congressional Budget Office released on Monday. The healthcare bill crafted by Senate Republicans was released last week. The healthcare sector was under pressure on Tuesday. Johnson & Johnson (JNJ - Get Report) , Novartis AG (NVS - Get Report) , Pfizer Inc. (PFE - Get Report) , Merck & Co. (MRK - Get Report) , Amgen Inc. (AMGN - Get Report) and Sanofi SA (SNY - Get Report) were all lower, while the Health Care Select Sector SPDR ETF (XLV - Get Report) fell 0.6%. Crude oil prices rose for their fourth session in a row as commodities markets came back from a major selloff last week that pushed West Texas Intermediate crude into bear market territory. Crude has been under pressure lately on worries over global oversupply and stubbornly high production. Crude reached its lowest level in 10 months on Wednesday, June 21. West Texas Intermediate crude was up 2% to $44.24 a barrel on Tuesday. "The petroleum markets are on the upswing again in Tuesday trade with a technical correction after the declines of the past five weeks gaining traction, helped along by a weaker U.S. dollar and expectations that U.S. commercial crude stocks may have extended their downtrend in the week ended June 23," said Tim Evans, energy futures specialist at Citi. The American Petroleum Institute will report on domestic stockpiles after the bell Tuesday. Official data from the Energy Information Administration will be released on Wednesday, June 28. Inventories have declined in 10 of the past 11 weeks. The energy sector was the best performer on Tuesday. Exxon Mobil Corp. (XOM - Get Report) , Royal Dutch Shell PLC (RDS.A - Get Report) , Chevron Corp. (CVX - Get Report) , Total SA (TOT - Get Report) , BP PLC (BP - Get Report) and Statoil ASA (STO were all higher, while the Energy Select Sector SPDR ETF (XLE - Get Report) increased 0.22%. In Fedspeak Tuesday, Federal Reserve Chair Janet Yellen spoke generally on the global economy in a conversation with President of the British Academy Lord Nicholas Stern. Earlier, Philadelphia Fed President Patrick Harker discussed the economic outlook at an event in London. San Francisco Fed President John C. Williams spoke at an economic forum in Sydney, Australia early morning. The S&P Corelogic Case-Shiller home price index for April rose at a slightly slower pace than expected. Home prices increased 5.5% in April, slowing from a 5.8% pace in March. Analysts had anticipated growth of 5.9%. The 20-city home prices index increased 5.7% in April, slowing from its fastest pace since July 2014 set a month earlier. Home prices rose 0.3% in April when on a month-by-month basis. Consumer confidence unexpectedly rose in June, according to the Conference Board. The measure ticked up 118.9 in June from 117.9 in May. Analysts expected the reading to moderate to 116, according to FactSet figures. It's the final week of the second quarter and benchmark indexes are expected to post solid gains. Strong fundamentals and a positive earnings season have given markets a boost over the past three months even as volatility held at multi-year lows. The Dow is on track to end more than 3% higher for the quarter, adding to the 4.5% growth seen in the first quarter. Likewise, the S&P 500 is on track to end with gains of roughly 3%, slowing from the 5.5% increase seen in the first three months of the year. Darden Restaurants Inc. (DRI - Get Report) rose 3% after topping earnings and sales estimates over its recent quarter. The parent of Olive Garden reported adjusted earnings of $1.18 a share, 3 cents higher than expected. Sales of $1.93 billion came in ahead of $1.87 billion consensus. Same-restaurant sales rose 3.3%, led by gains at Olive Garden and Longhorn Steakhouse. J.C. Penney Co. (JCP - Get Report) increased 4% after Gordon Haskett Research Advisors upgraded its rating on the stock to hold from reduce. Analysts are optimistic the retailer can reach its fiscal 2017 same-store sales forecast for a decline of 1% to growth of 1%. Semiconductor firm Western Digital Corp. (WDC - Get Report) was slightly lower even after the company said its profit for the fiscal fourth quarter would be higher. The revised guidance is based on a 1-point increase in its gross profit outlook driven by the sales of flash memory chips and enterprise-class hard drives. San Jose, Calif.-based Western Digital now expects revenue of $4.8 billion, gross profit margin equivalent to 41% of sales, and earnings per share of $2.85. The company's gross margin is a point higher, and the prior EPS forecast was $2.55 to $2.65. Pandora Media Inc. (P moved lower after founder Tim Westergren confirmed that he would step down as chief executive. Chief Financial Officer Naveen Chopra will act as interim CEO until a permanent replacement has been found. Westergren will also step down from the board. Shares rose 2% on Monday, June 26, on reports Westergren would step down. Sprint Corp. (S - Get Report) climbed 4% on Tuesday on reports the telecom is working with Charter Communications Inc. (CHTR - Get Report) and Comcast Corp. (CMCSA - Get Report) to partner on wireless service. A potential deal could see Charter and Comcast offering wireless to their customers and taking a stake in Sprint. Updated from 2:14 p.m. ET on Tuesday, June 27.